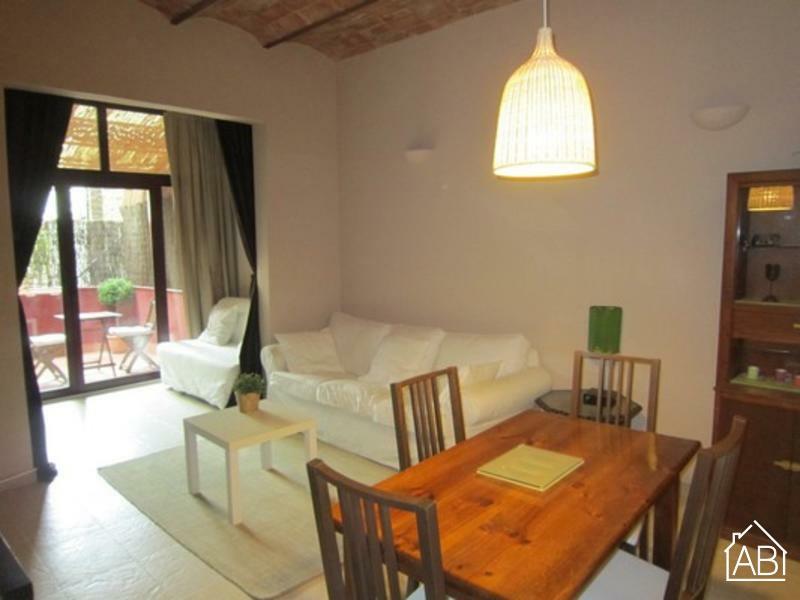 This charming two-bedroom apartment in Barcelona, situated in the lovely Eixample area of the city, is a great choice for those making their way to the Catalan capital. The apartment offers easy access to all of the sights in and around Barcelona, and you will find the famous Plaça Espanya less than 5 minutes on foot from this lovely locale. The apartment enjoys a warm and welcoming feel with a cozy atmosphere. The living room is furnished with a comfy sofa and a TV and an Internet connection is also available, making it easy to stay in touch with friends and family back home. The fully equipped kitchen allows you to create your favorite home-cooked meals, which can be enjoyed on the terrace. The apartment has two bedrooms, one with a double bed and the other with a double sofa bed, meaning that this apartment can accommodate up to four people. This living space has one bathroom.